I’m not a huge sports fan, but I do really enjoy watching basketball on TV! I especially enjoy it because my whole family gets involved. March is a big month for basketball, so in my family, we go all out! I have so much fun preparing some snacks for our own little watching party. 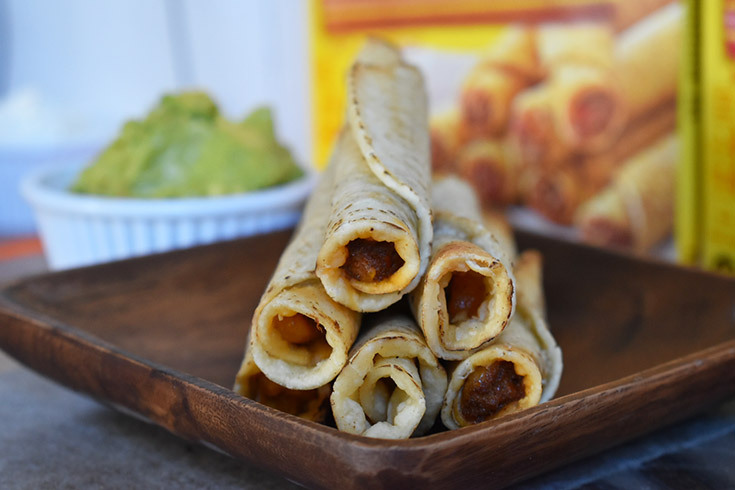 My favorite snacks included in our game day spread are the José Olé Taquitos. 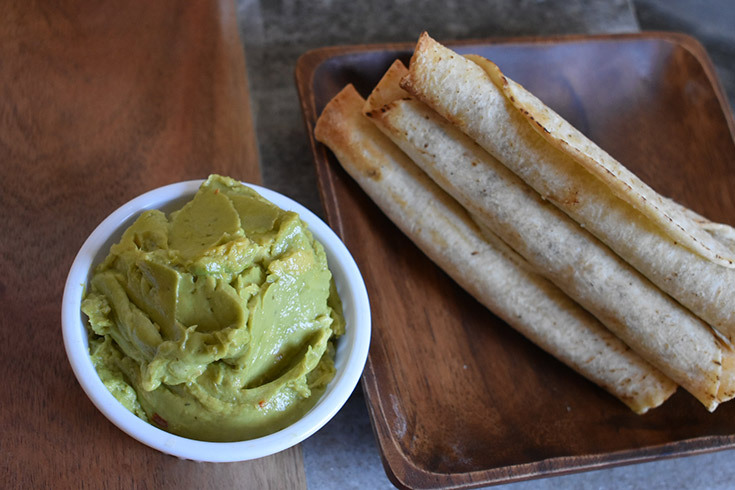 These are PERFECT for dunking ( 🙂 ) in guacamole and sour cream! 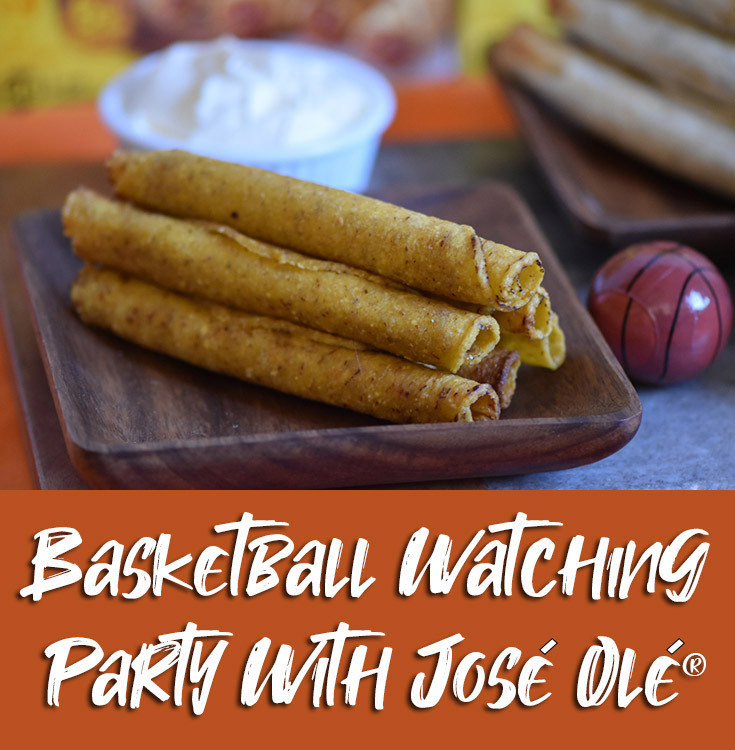 While my family is watching the college teams DUNK on TV this month, we are dunking the delicious and filling José Olé snacks that we all love! For our watching parties, I always go with one of the José Olé Taquito varieties. They have beef and chicken options, as well as flour or corn tortillas. 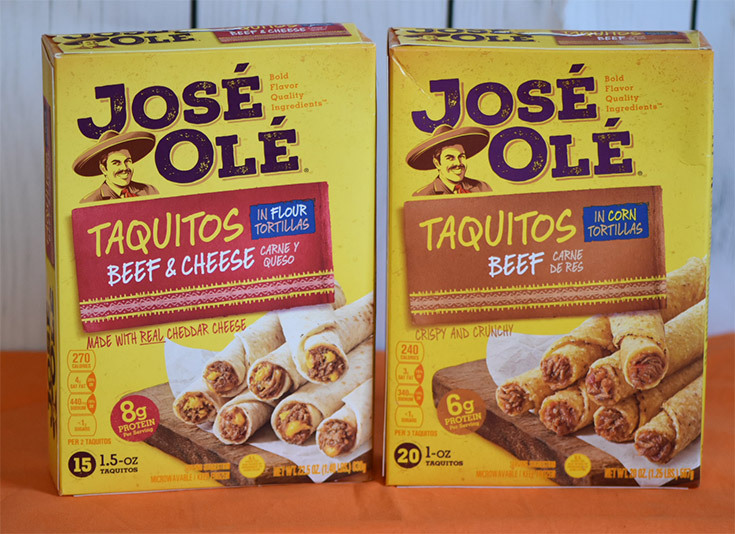 José Olé also has Mini Tacos, Rolled Tacos, Chimichangas and a bunch of other great options that you can find in the freezer section at your local grocery store. Did I mention we like to dunk in my family?! We never leave out our favorite dips and sauces, especially with our José Olé snacks. 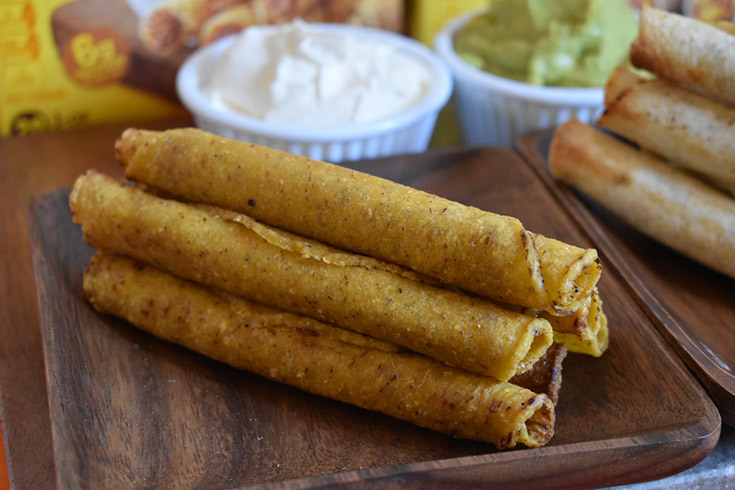 My personal favorite combination is the José Olé beef and cheese taquitos dipped in guacamole and sour cream. Sometimes, I even mix the two dips to make a creamy guacamole sauce. If you prefer a different consistency, try my chunky guacamole recipe for dipping. We also can’t forget salsa or nacho cheese, more fan favorites at my house! 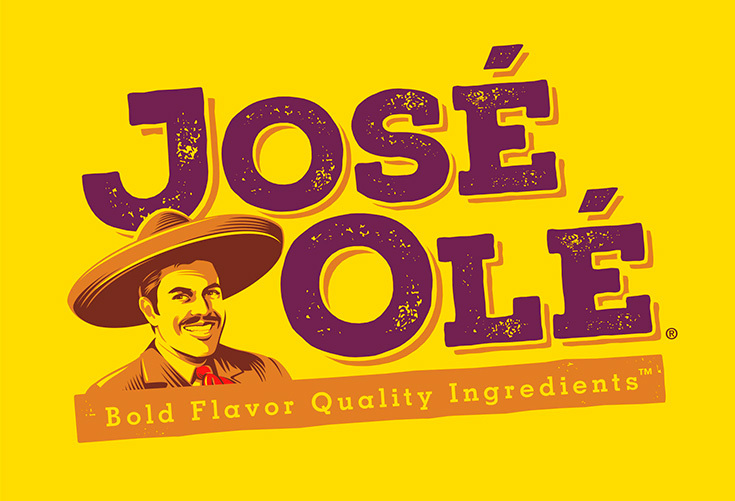 Basketball season or not, I always like to keep a variety of the José Olé products in my freezer. These tasty snacks are made with quality ingredients, are super easy to prepare, they’re filling, and they taste great! !